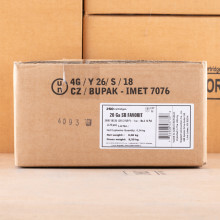 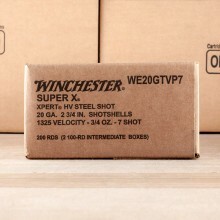 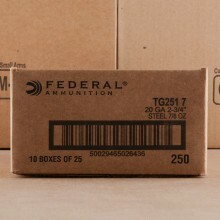 Bulk 20 Gauge Ammo Ships for Free at AmmoMan.com! 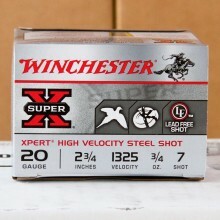 Distinguished by its yellow hull, 20 gauge ammunition is a popular shotgun caliber for young and inexperienced shooters. 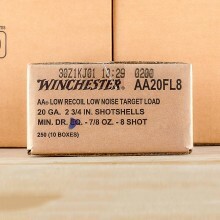 With relatively light recoil, 20 gauge rounds can still pack a punch. 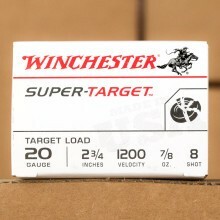 Loaded with waterfowl shells, 20 gauge is an effective tool for duck hunters and when loaded with buckshot 20 gauge can be used for hunting larger game like deer. 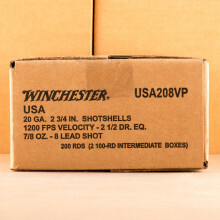 In fact, 20 gauge rounds are even popular in some circles for self-defense. 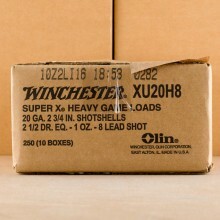 So what does "20 gauge" mean? 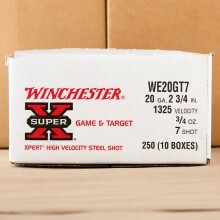 Well, simply stated, it takes 20 lead balls in the diameter of a 20 gauge barrel to equal one pound. 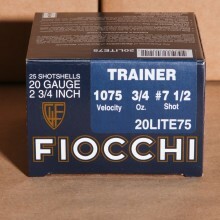 20 gauge shotgun shells are ideal for new shooters and the distinct yellow shell color makes it obvious what you're handling. 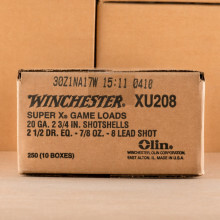 Offering lighter recoil than the larger 12 gauge, 20 gauge shotguns can be perfect for young hunters or those taking to the field chasing after waterfowl, pheasant, or other small game. 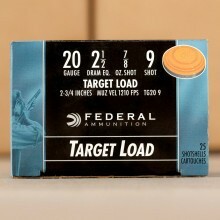 Like the larger shotgun caliber, you'll find 20 gauge shells for sale most commonly in 2 3/4" length as well as 3" length. 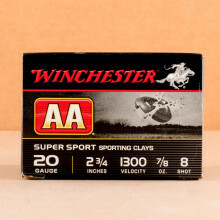 Most hunters prefer lead rounds but you can also find steel shotgun shells that more and more states are mandating for environmental reasons. 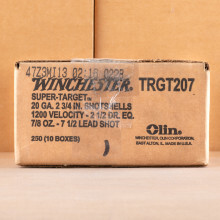 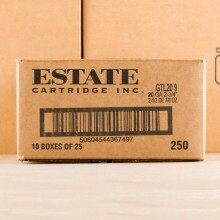 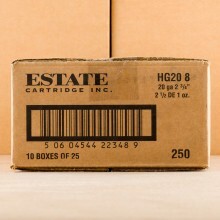 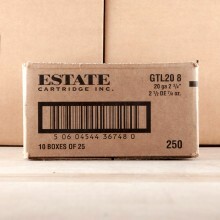 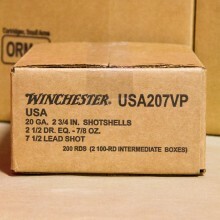 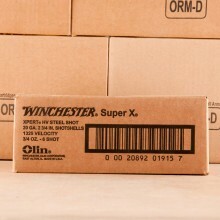 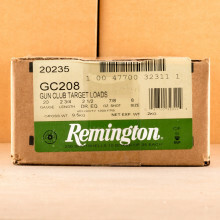 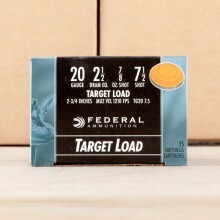 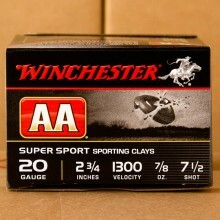 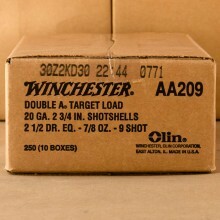 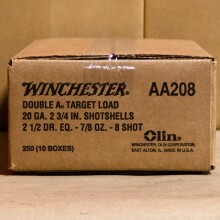 Look for in-stock 20 gauge rounds here at AmmoMan.com from leading manufacturers like Remington, Winchester, and Federal. 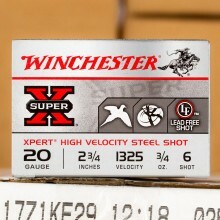 When looking at various shot sizes, remember that the larger the shot size number, the smaller the game you should consider it using for. 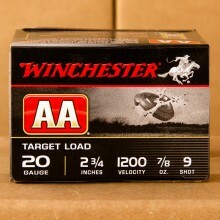 With 20 gauge rounds, you likely won't want to get much bigger than a #4 shot. 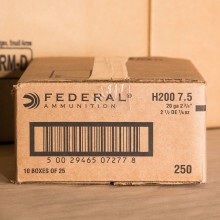 Of course, major ammo manufacturers are now making reliable 20 gauge slugs that are designed for larger game, like whitetail deer.